With the open source release of the first album TODAY IS SUNDAY on WM Recordings in 2008 meanwhileproject.ltd started as a two-man project, founded in a little home studio in Cologne. The one, club operator and singing half of the electropop duo SCHMACKES UND PINSCHER, responsible for the intense and really impressing vocals, and the other, music teacher and insomniac, writing and performing the captivating and miscellaneous music. In the last three years the album was spread over the internet and reached listeners all over the world where it found general approval. Meanwhile, the project has grown. In 2011 meanwhileproject.ltd launched two further open source releases, THE SOBER EP and THE JOEY BURNS EP, which still are available for free at WM Recordings. The production of the current album THE JUDAS HOLE took place with the support of Music Producer Hannes Jaeckl from AMPERSAND and features a number of guest musicians and friends of the band. THE JUDAS HOLE convinces with beautiful and accurate arranged songs, partly concentrated to the perfect moment and partly overflowing you ears with impulsive soundscapes. This Album shows the whole band width of independent music without losing the thread. It was released in December 2012 by the Cologne Indie label SONGPARK and is, for now, only available as a commercial download on amazon, iTunes and other music providers. The new open-source-output that you find here contains four remixes of the formerly indie/rock/acoustic tracks plus a brand-new one. 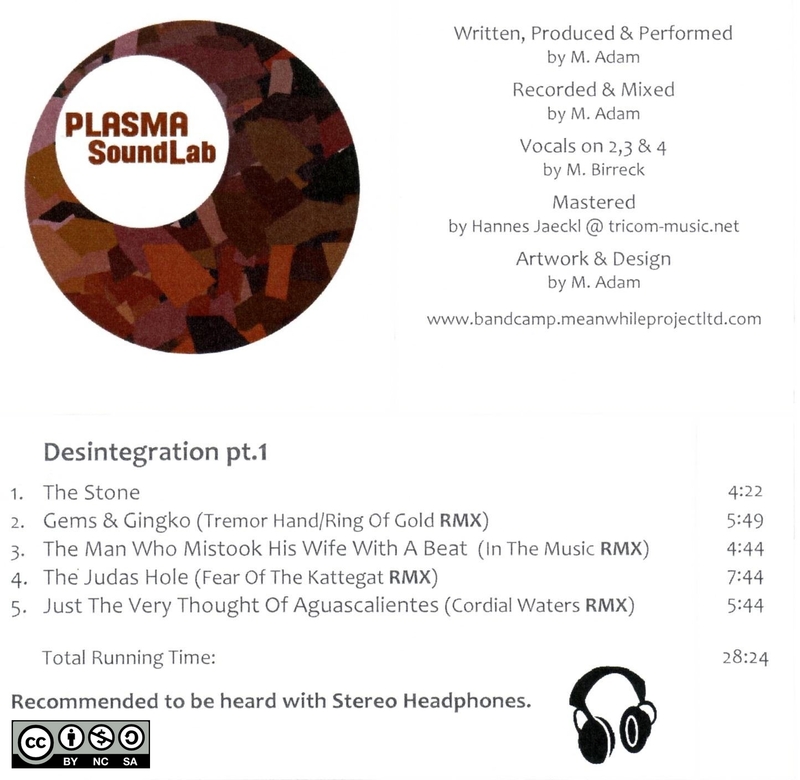 Referring to the meanwhileproject.ltd-philosophy to remix a track means total disintegration and reordering of the pieces. What is left, some guitar or bass parts or a vocal line, is rearranged in a different musical and electronic/ambient environment. From JUDAS HOLE to PLASMA SOUND LAB. Enjoy a worthwhile journey! 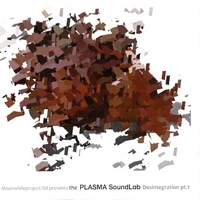 The Plasma SoundLab – Desintegration pt. 1 by Meanwhileproject.ltd is licensed under a Creative Commons Attribution-Noncommercial-Share Alike 3.0 Netherlands License.